SELC's Derb Carter (left) and NC DOT's Tony Tata in the WUNC Durham Studios for The State of Things. Engineer Robin Copley adjusts the microphones. 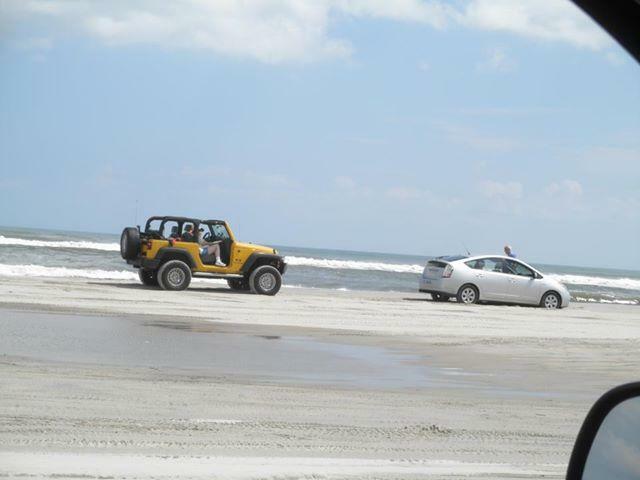 The North Carolina Department of Transportation closed the Bonner Bridge last week, leaving Hatteras residents with few options for transportation to and from the mainland. In the wake of the closing, politicians have accused environmentalists of delaying construction of a replacement bridge. Activists say the blame is misplaced and the Department’s delays are at fault. 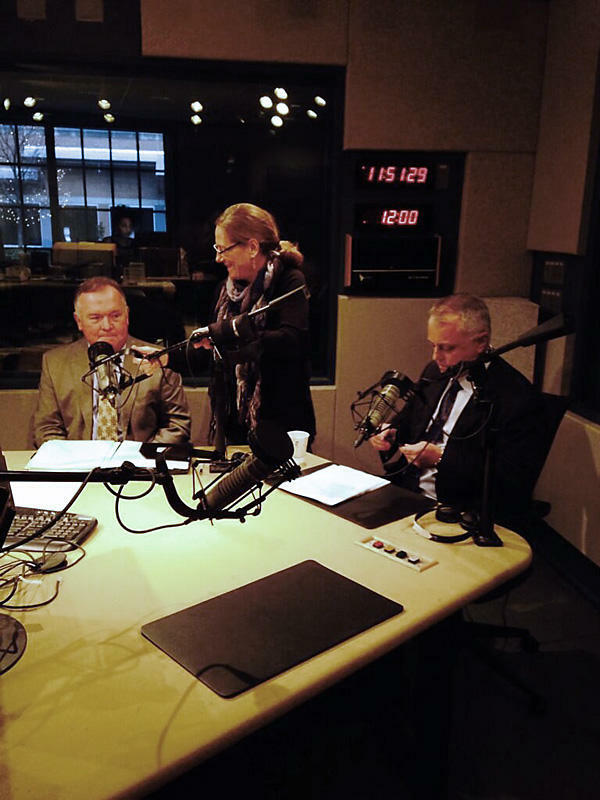 Host Frank Stasio talks with Derb Carter, director of the Chapel Hill office of the Southern Environmental Law Center and Tony Tata, Secretary of the North Carolina Department of Transportation. When the Bonner Bridge was closed unexpectedly earlier this week, it shocked many Outer Banks residents and tourists. 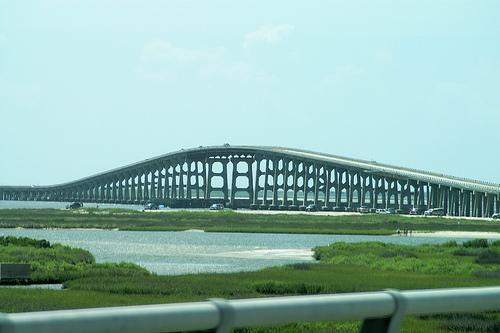 The bridge links the Outer Banks with the mainland. Suddenly it seemed everyone was wondering... How will I do my shopping and my banking? When will the bridge re-open? What will happen next? Many locals are going to a rather unlikely place to get their news: a Facebook page called Oregon Inlet Idiots. The page was started in 2011 as a place to poke fun at the tourists. The N.C. Department of Transportation has closed the Herbert C. Bonner Bridge over the Oregon Inlet on N.C. 12 along the Outer Banks today due to immediate safety concerns. Phil Beck has heard it all. He's a part time cashier at Marilyn's Deli in Rodanthe. Just about everyone who comes to his register wants to talk about the unexpected closure of the Bonner Bridge. "They want to know an answer, how long is it gonna take [to open the bridge]? Most of the customers, they ask me 'What do you know?' "
As he spoke by phone, he paused to ring up a customer. "$4.38 please. Oh, no worries, I've got the other penny." State Transportation Department officials have tapped a Mt. 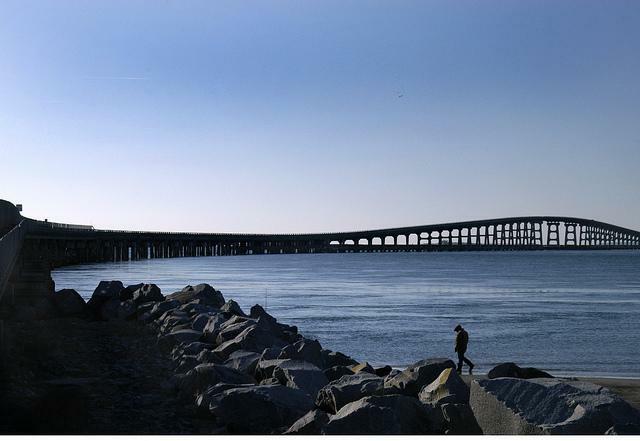 Airy company to make repairs to the Bonner Bridge on Highway 12. 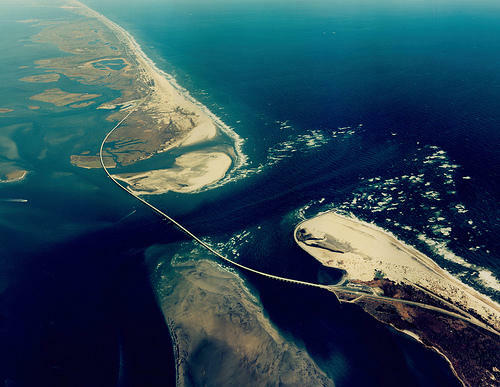 The bridge in Dare County which crosses Oregon Inlet will have steel supports called "crutch bends" added to counteract years of sand erosion, or scour, that have weathered the structure. Pablo Hernandez, an engineer with the state DOT, says the last time this type of repair was done was more than 20 years ago.